Every musician knows that it’s much easier to learn something right once than it is to try to unlearn something and relearn it correctly. 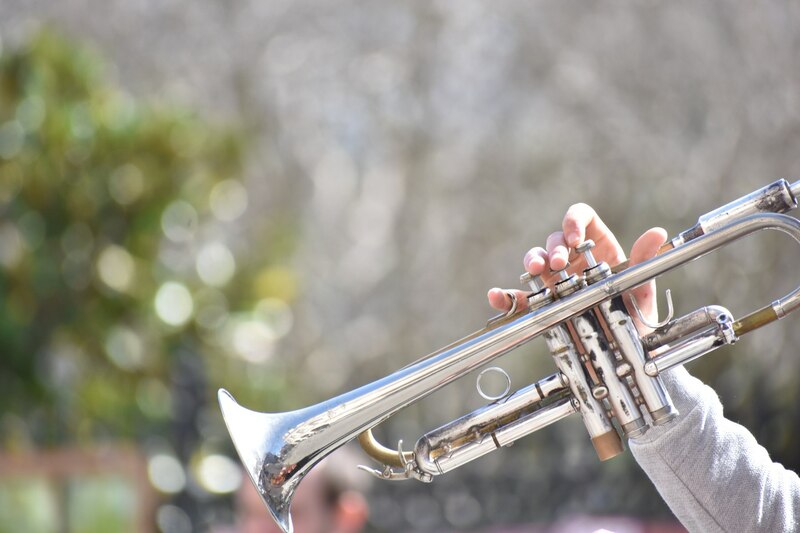 If you're taking lessons to learn a brass instrument (like trumpet, trombone, french horn, or tuba), here are some tips to help you avoid the mistakes so many students make! Posture is an important aspect of playing any instrument, but especially for brass. Slouching, twisting, or leaning can keep the lungs from fully inflating, and contribute to poor breath support and bad tone. It is important that feet are flat on the floor, that shoulders are directly in line with the hips, and above a player should look like he/she is standing up straight even while sitting down. Remember: Sit straight, play great! There are two ways to create a higher note on a brass instrument: smaller embouchure or faster air. These should be used in tandem to create the best sound. Too much pressure on your lips will leave you sore, possibly bruised, and may limit your ability to play high notes in later practice sessions. Remember: Pressing the mouthpiece harder against your face is not an effective method! It’s difficult to see a student’s embouchure inside the mouthpiece, so this habit could go unnoticed in a band room full of brand new instrumentalists. Fortunately, it’s easier to identify and correct in a private lesson. Buzz should be only be created by the lips vibrating against each other and the mouthpiece. Tongue buzz creates bad tone, limits range and flexibility, and necessitates breath articulation. Remember: If your tongue ever touches the mouthpiece, you’re doing it wrong! Exhausted students figure out that they’re able to keep the embouchure tight by widening the corners of their mouth into a smile -- basically stretching the lips very thin rather than flexing the muscles of the embouchure. This technique should be avoided because it limits flexibility and precision. The best way to avoid smiley embouchure is not playing until complete exhaustion. A good warm-up is important to make sure the lips are ready to play for an extended period. When lips do begin getting tired, playing a few low notes can offer some relief. Another option is the making classic horse snort sound “pfffffffff”, also called the Motor Boat Buzz. Remember: Practicing your instrument should make you smile, just not while you’re actually playing! Brass players begin every note with the tongue… at least, they should! New students sometimes get away with breath attacks. A breath articulation, or a breath attack, is when the student starts a tone with a burst of air from the lungs rather than tonguing the beginning of the tone. At the start of every tone, the tongue should touch the back of the teeth. The sound “Ta” is a good demonstration of correct tonguing. Breath articulation can be hard to correct in a classroom full of new students, but having some one-on-one time with the director or a private instructor helps make sure the student is tonguing correctly. Remember: If your tongue doesn’t touch your teeth every time you start a note, you’re doing it wrong! Puffy cheeks actually decrease the speed of air entering the horn. This habit should be identified and changed as soon as possible because over time this habit can cause the embouchure and the Buccinator muscles of the mouth to deteriorate or dilate in a condition sometimes called Glass Blower’s cheeks. Playing in front of a mirror is a great technique to help you notice when you're accidentally playing with puffy cheeks so you can self-correct as you play. Remember: You’re a brass player, not a chipmunk! Most kids have been guilty of this one. It is important for a player to make sure that his/her mouth is clean before picking up the instrument for practice. Playing with a clean mouth will protect your instrument and keep air flowing smoothly through your horn. Kids are bad about playing with cookie or cracker crumbs in their mouth and then blowing the debris into the horn. Food particles can cause valves to stick, slides to slow down, and in some cases, can cause the inner tubing of the horn to corrode. Snack foods, candies, and soft drinks should be avoided right before and during practice. This doesn’t mean you have to brush and floss each time you play. Just make sure that your teeth are free of crumbs, that you rinse your mouth with water, and that your tongue isn’t a bright neon color from fruit punch or candy. Remember: Brushing your teeth protects you and your instrument! The best way to make sure you're not making these technique mistakes is to find a private teacher who can help guide you as you progress on your instrument. At NOLA School of Music, we offer private lessons in trumpet, trombone, french horn, tuba, and more with our brass instructor, Wesley Chambers. Sign up today!